A while ago, I was approached by www.cathyjoy.com to review some products. These two masks below are some of them. 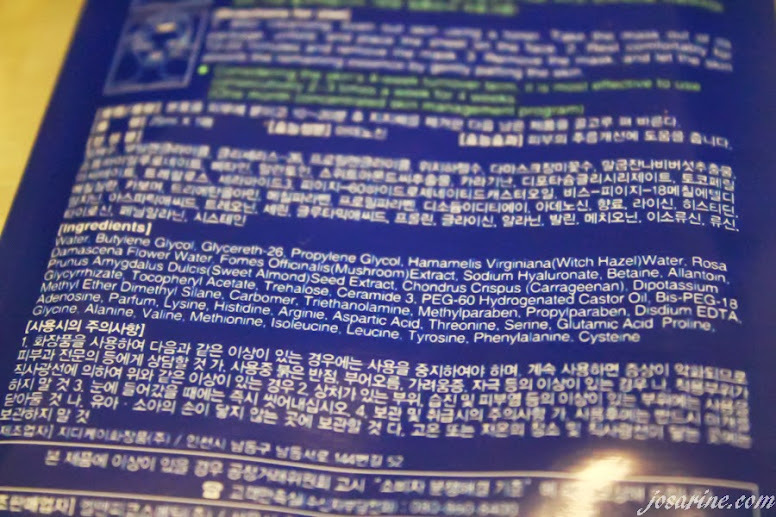 Cathyjoy.com is a beauty webstore which sells Korean Skincare and Make Up products, a definite must check out store as they have a lot of products. MEDIHEAL is a cosmedical brand that was created and tested by aesthetic specialists using principles of treatments used on beauty clinics for skin troubles most common to women. MEDIHEAL uses a highly concentrated formulation of natural materials, helps your unbalanced skin become healthier by making is resistant to stress and restoring skin balance. 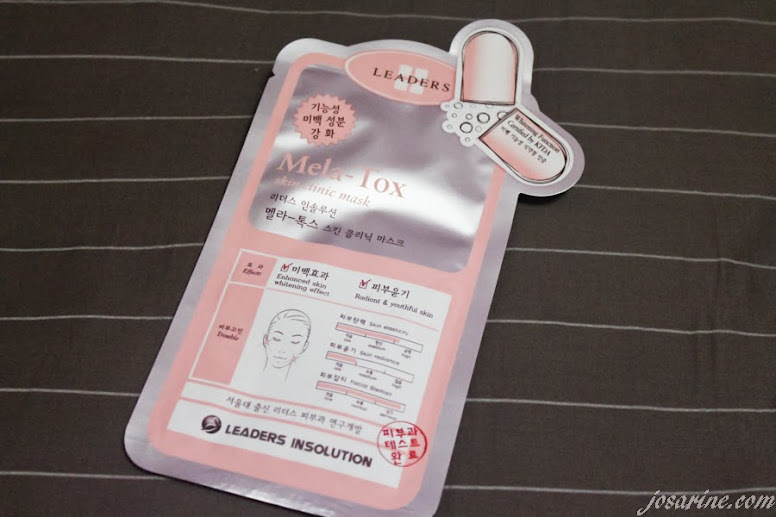 Leaders Mela-Tox is a skin clinic mask which is in ALL KOREAN so i was not able to read the description behind. 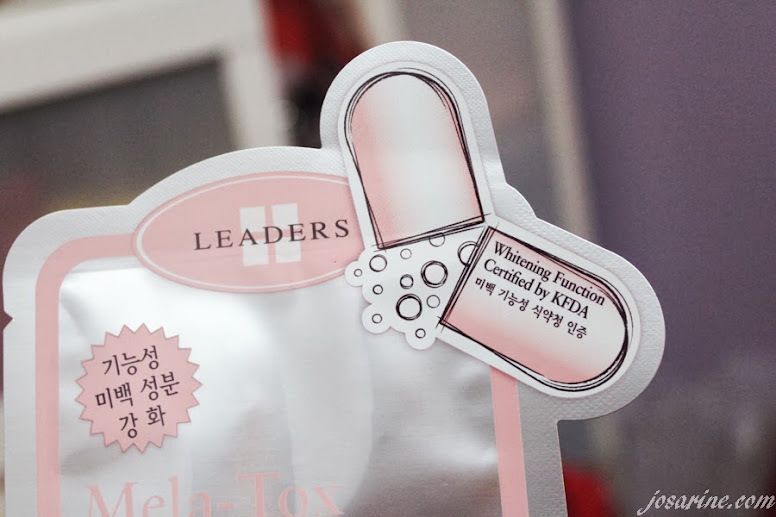 However, Leaders Mela-Tox contains whitening function that is certified by KFDA. 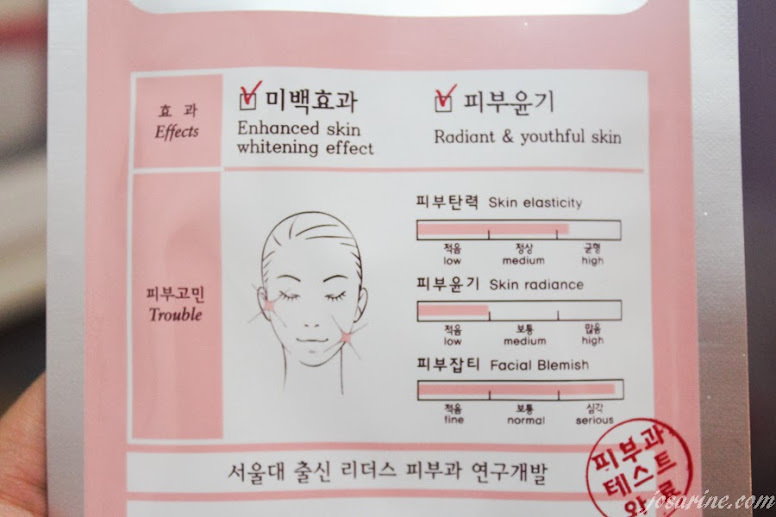 The effects that we should receive after using this mask is enhanced skin whitening, radiant and youthful skin. 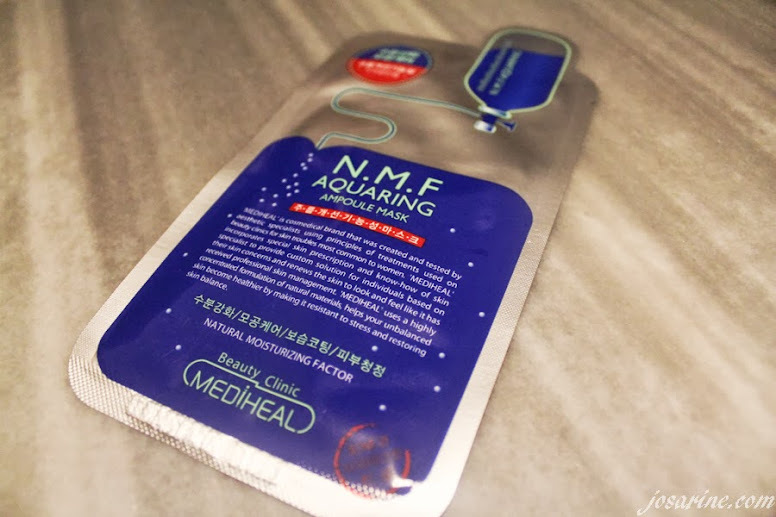 This mask would be more suitable for those with medium to high elasticity in skin, low radiance, and serious facial blemish. Please excuse my after showered terrible looking face! I had to shower and made sure my face is squeaky clean before applying the mask. Both masks are pretty transparent if compared to most masks and both, in my opinion, has too much liquid. I don't know why but i usually prefer masks that does not contain too much liquid. 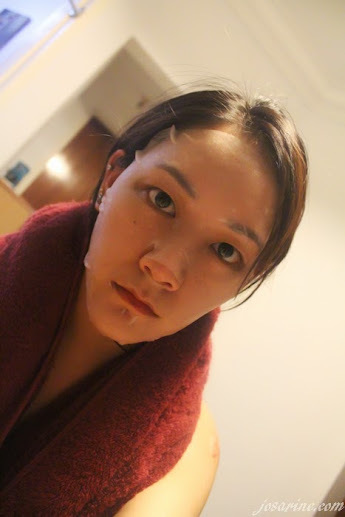 I have oily combination skin, which means a lot of pores and blackheads. Personally, i feel that both of these masks are too moisturizing for me, most probably because of my skin type. As much as I love the transparency of it, and hoped for great results, both masks are not suitable for me. As I saw the results, I thought to myself that both masks would more likely be suitable for those who have dry skin, or aging skin. Aging skin is commonly caused by UV sun light and also lack of moisture. Which is why those with dry skin would experience skin aging faster than those with oily skin. So girls if you have oily skin, quit complaining but be thankful!